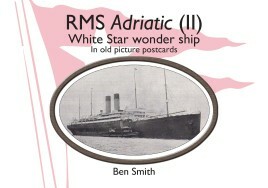 A book of postcards of RMS Adriatic II from a personal collection. 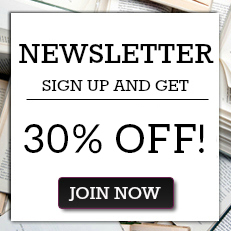 Welcome on board ‘Adriatic’( II) – White Star Line wonder ship! Explore this magnificent steamship through old picture postcards, many of them rare and unpublished. Journey back to 1907 to glimpse Adriatic II as the White Star flagship and travel through her eventful career to her last days as a veteran cruise liner. The postcards featured are a glorious mixture of artist impressions and real photos from the collection of historian Ben Smith, gathered over more than 30 years. ‘Adriatic’s beautifully proportioned design, high standards of accommodation, and great popularity over more than a quarter of a century, make her a notable vessel. It is hoped that not only White Star buffs, but all ship enthusiasts will enjoy this picture tribute to one of the company’s most successful ships which helped to inspire the famous ‘Olympic’ class. Historian Ben Smith has been fascinated by the White Star Line since childhood. This interest began more than three decades ago when he saw the discovery of the ‘Titanic’ on television. Ben became a postcard collector and later a dealer specialising in White Star Line memorabilia. After graduating from Warwick University with a degree in modern history, Ben trained as a reporter and worked in local newspapers before becoming a teacher. He is married and lives in Norfolk.